Glänzendes, sattes Rubin mit feinem ­Granatschimmer. Einprägsame und dichte Nase, zeigt Noten nach Zwetschken, Granatapfel, Himbeere, dazu etwas Leder und ­Trüffel. Rund und geschmeidig in Ansatz und Verlauf, zeigt sich sehr ausgewogen, ­zunächst feine Frucht, öffnet sich dann mit festem Tannin, im Finale salzig, sehr langer Nachhall. The 2012 Barolo Cannubi Boschis is a solid and tighter wine compared to the 2012 Le Vigne. Having said that, it veers close to being too austere and hard-bodied, especially at this young stage of its life. Of Sandrone's two new Barolo releases, this wine definitely needs more time to evolve and soften with extra years of bottle aging. The tannins are more evident and the wine's firm backbone acts to support dark fruit flavors with distant accents of spice, licorice and tobacco. The 2012 Luciano Sandrone wines are very good, but remain far from the amazing heights achieved by this historic winery in the best years. Like many of the wines from this vintage (across the various townships that make up the appellation), they are slightly less expressive and they speak at a lower volume. The 2012 Barolo Cannubi Boschis opens with beguiling aromatics redolent of crushed rose petal, spices, mint and new leather. Wonderfully layered and nuanced, especially for the year, the 2012 offers good freshness to match its inviting, supple fruit. I would prefer to drink it sooner rather than later, while its alluring, open-knit personality is on full display. In 2012, the fruit tends towards the redder end of spectrum, unusual for Cannubi Boschis, which usually tends towards darker shades of expression. The 2012 is perfumed, lithe and super-classy from start to finish. Sandrone's 2011 Barolo Le Vigne is sweet, silky and exceptionally polished in the glass. Sweet floral notes, bright red berries, subtle spices and mint are all laced together nicely in the glass. Le Vigne is a blend of fruit from multiple vineyard sources. This is the first year in which Villero is part of the blend. A wonderfully tight and polished young red with dark berry, plum and citrus character. Roses too. Full body, firm tannins and a bright finish. Better in 2017. Luciano Sandrone and his daughter Barbara tell me that the 2014 harvest needs explaining. Many are quick to dismiss it given the difficulties of the growing season that saw abundant rain, hail and bombe d'acqua, or "water bombs," which are a dangerous phenomenon with intense rainfall in a very small radius. But hard work does pay off. The Sandrone family employed 38 people for farming, when the average harvest requires only 22 pairs of vineyard hands. Great care was required to keep the leaves and the clusters healthy. The 2014 Barolo le Vigne is bright and fruit-forward. It is perhaps more accessible in the near term compared to past editions. It delivers dark fruit nuances over a mid-weight and compact mouthfeel. The 2014 Barolo Le Vigne once again shows the wisdom of blending fruit from different sites. If there is a vintage where blending has the potential to be the difference-maker, 2014 is it. So it is hardly surprising to find the 2014 Le Vigne in such great shape. The red cherry jam, mint, cedar and floral notes are all finely sketched. Medium in body and classy, the 2014 is beautifully textured and inviting from start to finish. All the elements are simply in the right place. Vineyard sources are Merli, Vignane, Villero and Baudana. Beautiful aromas of licorice, tar and black cherries following through to a full body. A powerful palate with dense fruit. Chewy and intense. Needs two or three years to soften. A triumph for the vintage. Drink in 2020. This wine sees fruit sourced from the warm and sunny Maremma area on coastal Tuscany. The 2016 Cabernet Sauvignon shows an inky dark appearance with dark garnet color saturation. It offers a fine and chiseled aromatic profile with dark berry fruit followed by spice, anise seeds and an unmistakable balsamic note that reminds me of eucalyptus oil. This is a mid-weight expression of the grape that is both accessible and easy to drink straight out of the gate. It ages in neutral oak for 12 months. Some 20,000 bottles were made.  The 2016 Cabernet Sauvignon, from Brancaia's vineyards in Maremma, expresses a good bit of varietal character and overall nuance. Fleshy, dark and seductive, the 2016 will drink well with minimal cellaring. Today, it is very pretty and delicious. Shows beautiful, blue fruit, as well as lavender, crushed stones and violets. Medium to full body, lithe and endearing tannins and a fine, tangy finish. Drink now. Glänzendes Rubin mit hellem Rand. Duftige, ansprechende Nase mit ausgeprägten Noten nach saftiger Kirsche, Zwetschke und Brombeere. Saftig und geradlinig am Gaumen, zeigt schöne Kirschfrucht, herzhaft und mit guter Länge. The 2015 Chianti Classico Brolio is made with 80% Sangiovese that has been enhanced by 15% Merlot and 5% Cabernet Sauvignon. The wine ages in barrique and tonneaux for up to nine months. This is a bright and fruit-forward wine that imparts aromas of plump cherry and cassis. With 730,000 bottles made, this is a good value option that should be relatively easy to locate at your nearest wine merchant. The 2016 Chianti Classico Brolio is a very pretty wine. Perfumed floral notes and silky tannins complement the bright, red-tone fruit nicely in this pretty, expressive mid-weight Chianti Classico. The freshness speaks to the personality of the year. This is very nicely done. The 2015 Carnasciale, the estate's entry-level wine, is gorgeous. Rich and bold on the palate, with striking aromatic top notes, the 2015 has so much to offer. Silky tannins wrap around a core of raspberry jam, sweet herbs, mint and wild flowers in this super-expressive, inviting wine. There is so much to like.